Kiyomizu Temple. 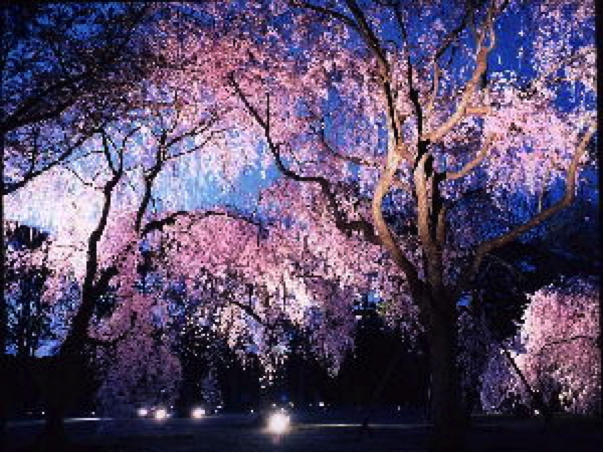 You enjoy the cherry blossoms not only in the day time but also at night, where the trees are beautifully illuminated. 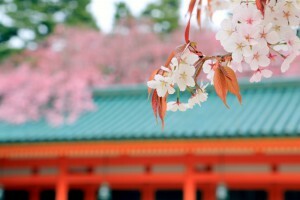 We are going to introduce best 5 cherry blossom spots (temple and shrine) you must visit in Kyoto. 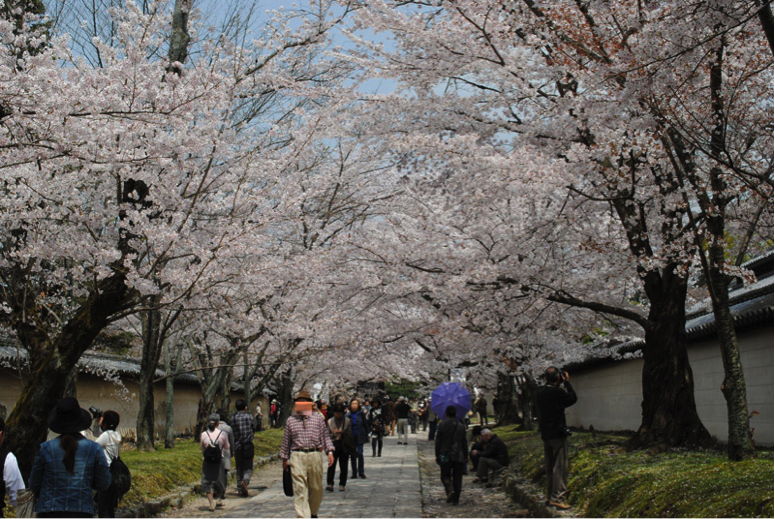 Daigoji Temple is famous place for cherry blossoms in Kyoto, where Hideyoshi Toyotomi held a cherry blossom party in the 16th century. 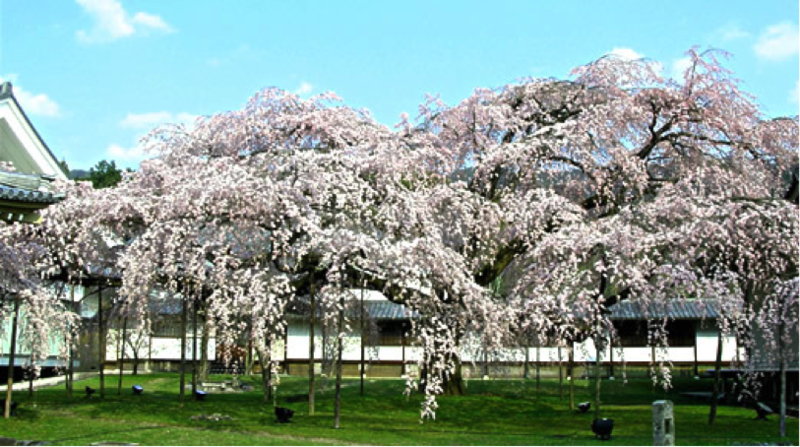 There are beautiful weeping cherry trees in the Reihokan Museum and in front of the Sanboin. Admission ends 30 minutes before the close time. Heian Shrine is a popular cherry blossom spot in Kyoto, with many weeping cherry trees in its garden. Here, a night cherry blossom classical music concert is also held. You will be impressed with the combination between the cherry blossom’s mesmerizing scenery and the beauty of classical music. 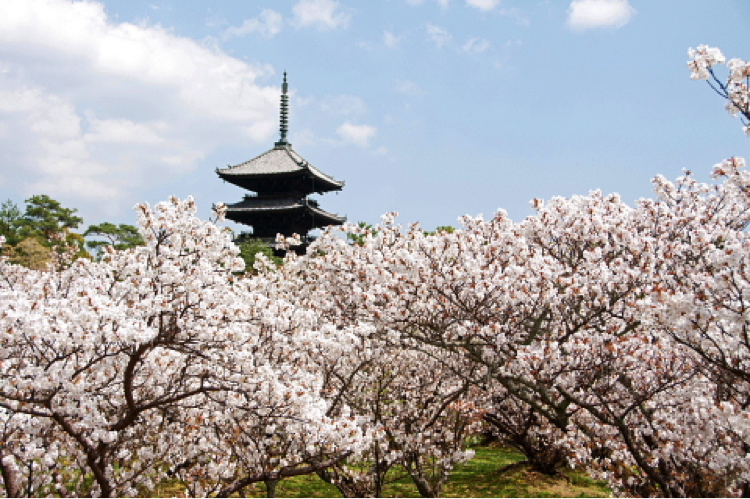 Operating Hours 8:30 A.M. ~ 5:00 P.M.
Time: 6:15 p.m. ~ 8:30 p.m.
One of the features of Ninnaji Temple is Omuro cherries, which is short (about 2 meters high) and late-blooming cherry trees. 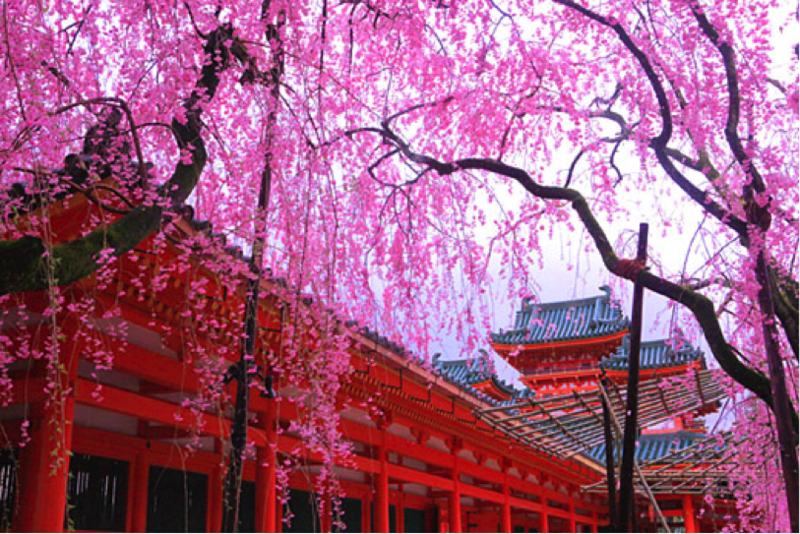 Therefore, you should visit this temple at the end of cherry blossom season in Kyoto. Because the trees are short, you can see them up close. Taizo-in Temple is one of the 46 sub temples of Myoshinji Temple. 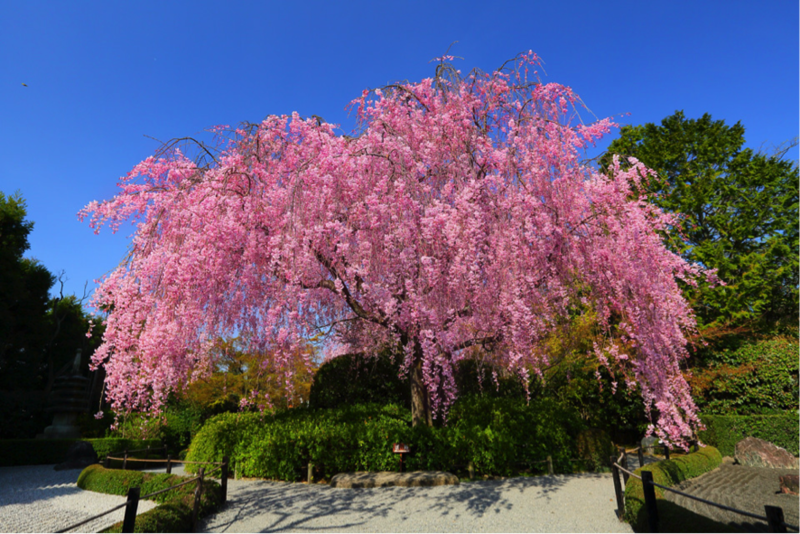 It is well-known for its big weeping cherry tree. Around the tree, there are two Japanese rock gardens. 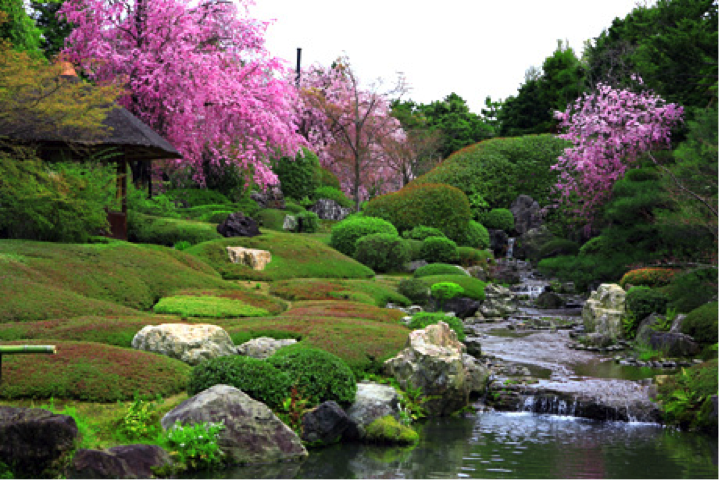 A garden with a pond in the center is also famous. 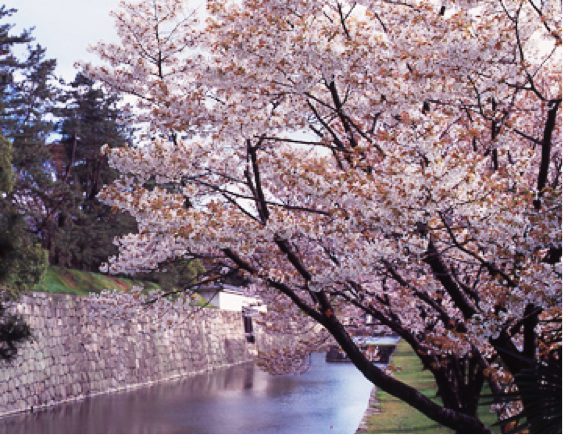 There are many kinds of cherry trees that bloom on the ground of Nijo Castle. Moreover, there are also special illuminations at night. 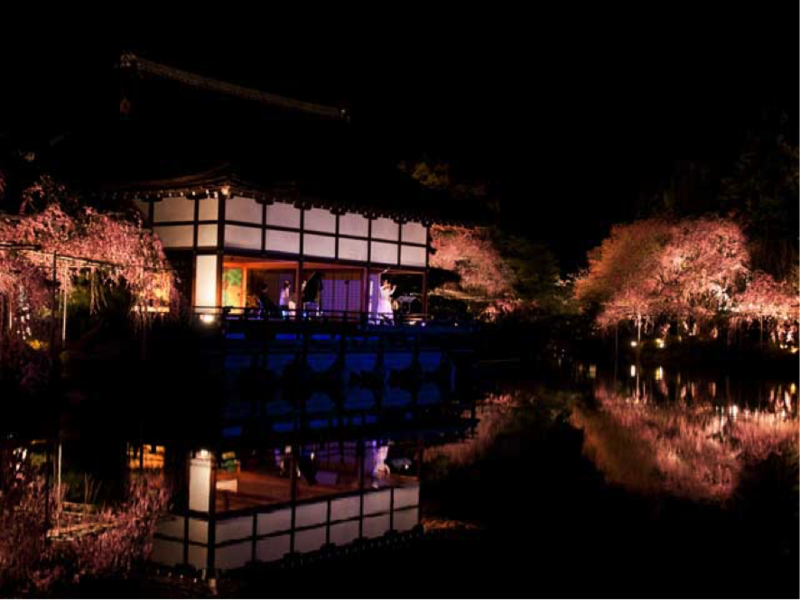 This illumination enhances the cherry trees’ dreamy atmosphere, which delivers a wonderful night cherry blossom viewing experience.